These two make my heart want to explode. Nothing better like seeing your dad and son bond over something that is somewhat of a family trait. For us our family trait that we hope to pass along is our passion for running and I couldn't be prouder of Miguel. 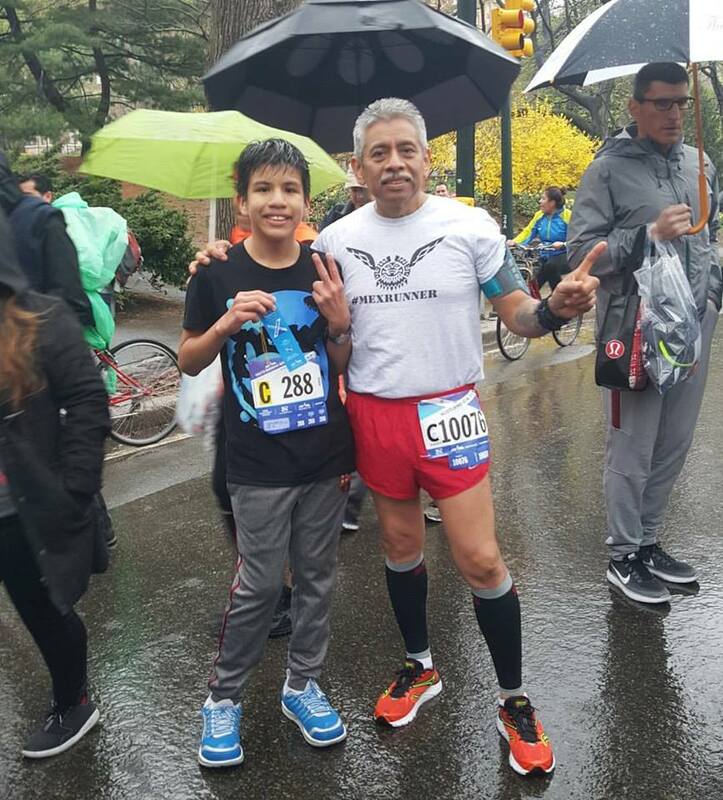 Yesterday it rained and it was surprisingly very cold (even though it's Spring already) but my dad had an early race that begun at 8am and Miguel's race was at 10:15am, he was a little worried about running in the rain but that didn't stop him and he was still very excited for his race to begin. Miguel has been on his schools track and field team for almost a year now and this is not his first race that he's participated in, needless to say that my heart still feels like it's going to explode when I see him running to the finish line is an understatement. Such a proud mommy moment, can't wait to see where running takes Miguel. Did you have any races this weekend?